Spend a day at Singapore's newest interactive digital playground! 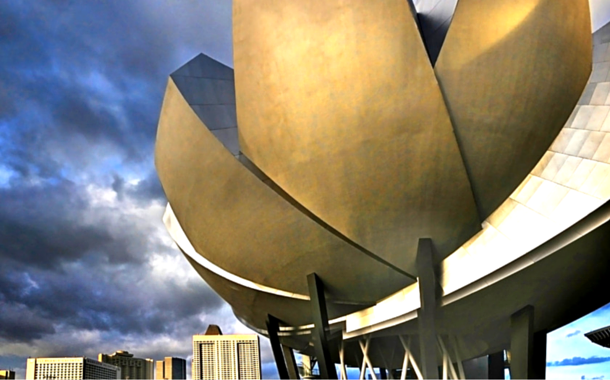 If you are someone who loves art, science and technology, you will be thrilled at what Singapore's ArtScience Museum has in store for you! There’s a reason why people say there’s never a dull moment in Singapore and that’s because this city is constantly developing and innovating new attractions and entertainment. If there was ever a good time to get your Singapore visa, it is now. Explore – through your own creativity and initiative – an entire new world where 15 art installations evolve in real-time to your participative skills. Future World – Singapore's largest permanent exhibition -- is a 1500 square metre interactive universe made in collaboration with a Tokyo-based art collective. A number of themed playgrounds, such as Nature, Town, Park and Space, have been brought to life, and the Crystal Universe – created with interactive 4-D vision technology and 184,200 LED lights – is my favourite. Stand within that space to get an idea of how it might be to confront stars, galaxies and even gravitational waves. The place responds to mass and motion, and visitors are free to also create their own place within this space by swiping planets and stars from smartphone devices. Come, visit Singapore's largest collaborative digital park. Book your flight tickets today!